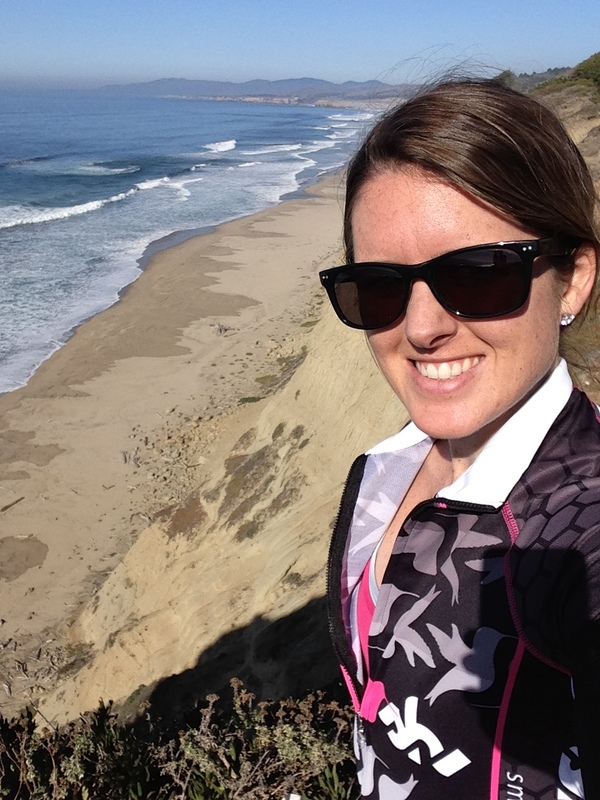 Week 3: Pacific Coast Ride, Summer Weather, and Healthy Takeout! – Where's The Tofu? 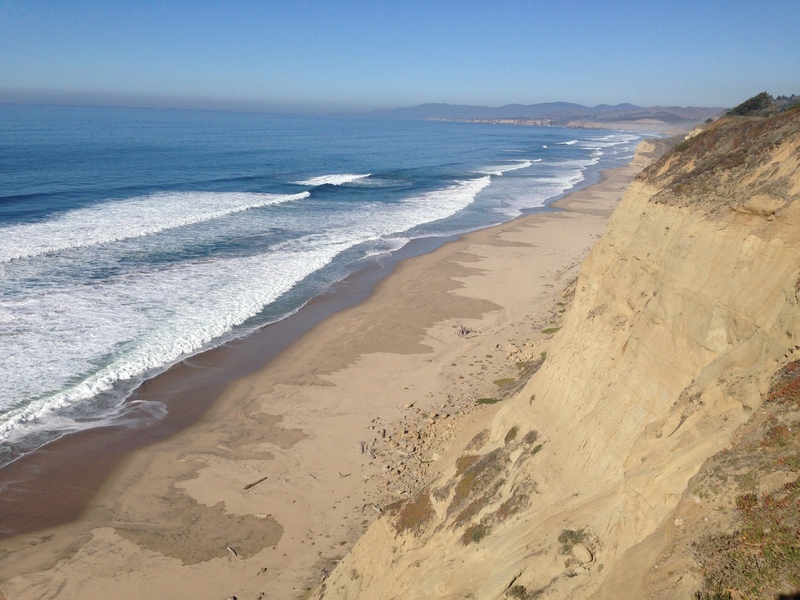 Week 3: Pacific Coast Ride, Summer Weather, and Healthy Takeout! It was a near-perfect week for running, biking, weight training, and healthy grubbin’. But pretty horrible for swimming to be honest. I went to the pool on Friday but my favorite swim cap ripped apart! Wah wah. I didn’t think it was a big deal, so I jumped in the pool and started swimming laps anyway. The issue was my hair was constantly in my face and I genuinely couldn’t concentrate on my swim. It felt like I had a spider on my face the whole time. So I got out of the pool and decided to try again a different day. Oh well, stuff like this happens. Next time will be better and I’ll have 2 caps with me just in case. I had planned on a leisurely bike ride with Nick, another plant-based triathlete and IM Lake Tahoe finisher, in Half Moon Bay on Saturday. What I didn’t realize until that morning was that so many inspiring and amazing people were biking from SF to Santa Barbara over 3 days, that’s almost 400 miles, through the Coast Ride. I saw some great friends including Sam, Chad, Barbara, Troy, Brian P, Katie Evans, Pedro, and I’m sure there were more! There were people out taking photos from SF Tri Club, the Strava van was out there, Sag Monkey kept driving by, and tons of support. We sort of just pretended like we were on the actual Coast Ride and waved to the spectators and cameramen. Wishing all my friends well and I hope they’re crushin’ it! The pictures so far look amazing and the updates have been positive. I want to do this next year! It was a perfect day for a bike ride, especially along the coast. The wind was light, it was about 65 degrees and sunny, and the surfers were out in full force. I tried to capture it on my GoPro but I’m having some playback issues (stay tuned). We ended up doing 42 miles roundtrip, a perfect little bite-sized Saturday ride. It was definitely more on the leisurely and conversational side which made me happy because my cough/cold was still nagging. 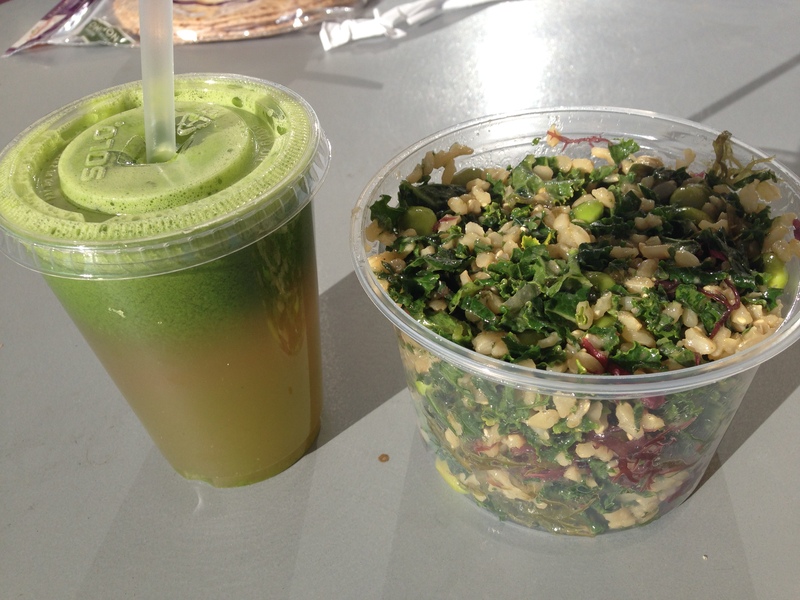 After the ride I went to the New Leaf market in Half Moon Bay and got a kale salad and green juice. They have an amazing selection of healthy lunch options, from smoothies and juices to sandwiches and cold case salads. Definitely worth a visit if you’re in HMB! And if you’re feeling gluttonous there’s a Taco Bell next door for the most epic food dichotomy ever. On Sunday afternoon I did my last long run, 12.1 miles, before the Kaiser Permanente Half Marathon coming up on Super Bowl Sunday (2 weeks away!) 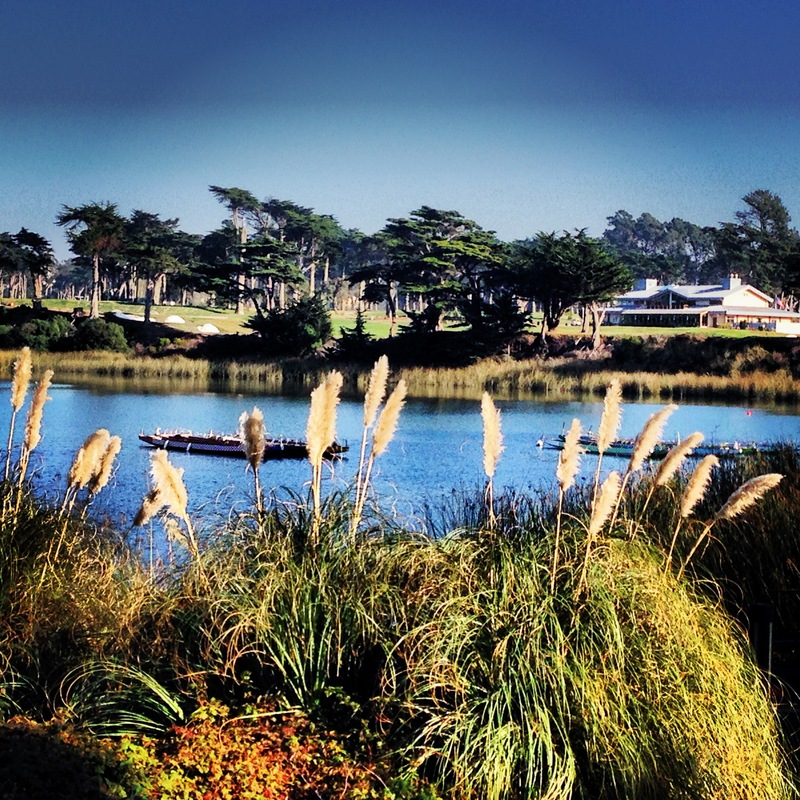 I ran ~2.5 laps around Lake Merced on another gorgeous, beautiful, and perfect day. I wrote about Lake Merced in the past, but I truly love this route because it’s completely uninterrupted and there are dirt paths the whole way (my knees love me for this!). Maybe next time I’ll extend it to go to Ocean Beach or through Stern Grove to mix it up. I decided to keep track of my heart rate along the way and tried to keep it in the 155-165 zone compared to my normal runs which are in the more difficult 175-185 range. I was battling a hangover and a little bit of a cough/cold so I wanted to make sure I could complete the 12 mile run without falling apart. For race day I will probably push myself a little harder. I loved this easier zone though, I felt so fresh and it really made me enjoy the workout a lot more. I’m getting a heart rate threshold test soon so I’ll have a better idea of my exact HR zones for future trainings. Most mornings, I allow myself to fail. Yes you read that right. I tell myself to just start the workout, and it’s OK if I have to stop early. This mental trick works everytime because I almost never stop if I start! For example, I really didn’t want to run on Thursday morning (my arm was sore from the flu shot, I had a cough, and it was cold outside). So I told myself that I could go slow, go a short distance, and stop at any time. But what happened? As soon as I got out there, my mind was in an entirely different zone. Every single excuse got thrown out the window. 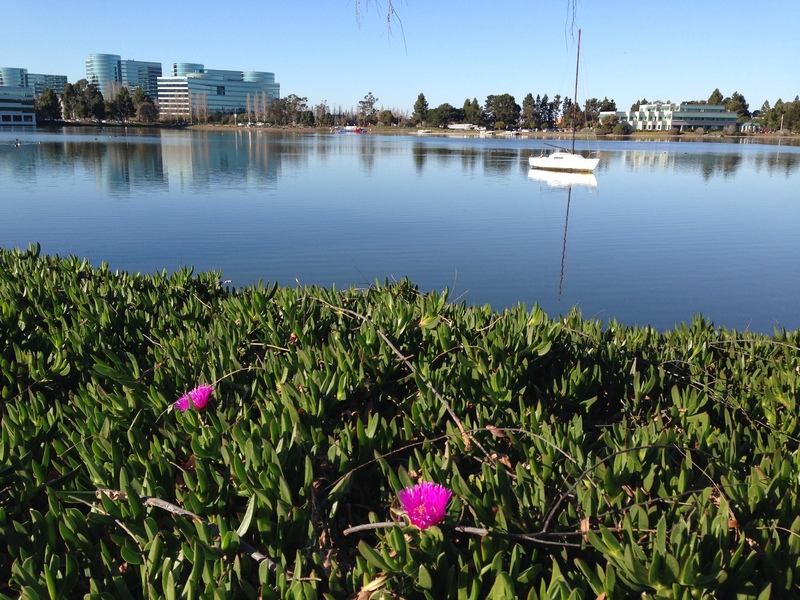 I ended up running 7 fast miles without music, watched the beautiful sunrise over Redwood Shores, all while holding a sub-9 minute mile pace. The key was to allow myself to have that ‘out’, because never starting is way worse than starting and giving up in the middle. But it turns out I rarely quit! Does anyone else have a mental trick like this that works for them? I just love a good spin class! They are so sweaty, challenging, high energy, and I always feel like a million bucks after the workout. I’m not a huge fan of the weights + core + do-it-all spin classes. I just like to focus on biking. There was a Ben Greenfield podcast episode where he spent 40 minutes interviewing an expert about the pros/cons of indoor cycling. The key takeaway is that spin instructors are often undertrained and try to do too much! I know for me, once I throw hand weights into the mix I feel like a circus act. The spin classes offered through work are really only during lunch, which is a tough time to commit to. And the morning classes at Shift and M2 in San Francisco put me in terrible traffic on 101-S at 7:30-8am. So now that I’m a new member at Oracle’s gym, I have access to all of their classes, too! I checked out their spin class on Tuesday night and loved it (except that I got a little light-headed because I had just gotten a flu shot a few hours beforehand). I just like that I now have more time options to get my sweat sesh in. No excuses! We have had a very serious drought here in California to the point where Governor Jerry Brown declared an emergency and asked everyone to conserve water usage by 20%. Water levels are at all-time lows, green national parks are now brown, Tahoe hasn’t seen snow, wildfire’s are increasing, farmer’s are hurt, the list goes on. Usually January in the Bay Area is chilly, rainy, lush, and filled with weekend snowboard trips to the mountains. But the past few weeks have been 65-70, sunny, and bone dry. Great for getting outdoor workouts in, but I just wish it would rain for the sake of our dry state! So I’ll be doing my rain dance, but until it rains, I’ll enjoy my outdoor workouts and sunshine. I really need to drink more water, foam roll, and do more regular core workouts. And these are all easy to forget to do! I think I’ll start tracking them on a simple sheet. When I don’t drink enough water, especially on hard workout days, I feel hungry when I’m actually just thirsty and dehydrated. Then I get muscle spasms! Foam rolling is like a free massage. And it hurts so good. I just need to remember to do it every day and loosen up my IT band and target any aches. Core workouts are SO important because the core stabilizes your whole body! You use it in swimming, biking, running, and having a strong core is crucial to proper form and success in triathlon. Last week was the week of kale smoothies. This week I added a few green juices to the mix. They are so delicious and healthy! My wonderful roommate made me a full mason jar full of fresh green juice from her juicer and I could feel the boost in energy almost instantly. I wish I could have a fresh juice everyday! Hmm maybe I can. 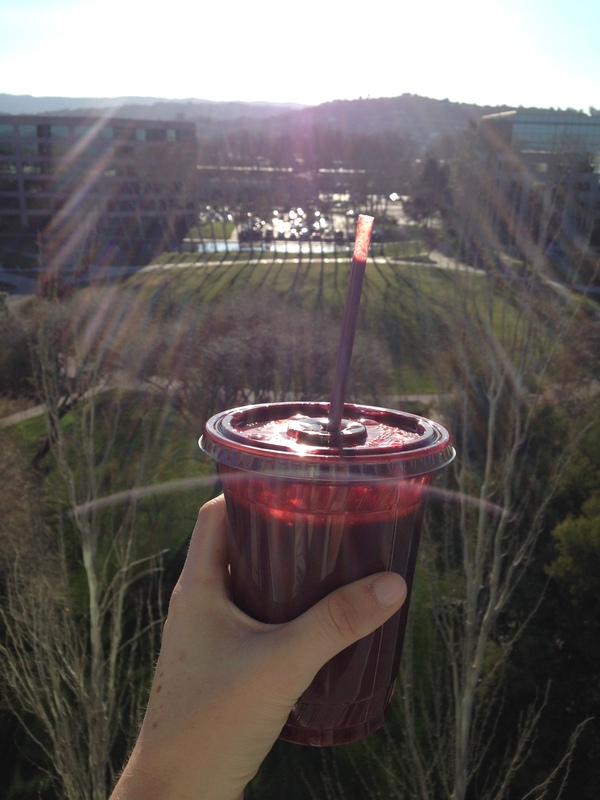 I still like to have smoothies for the fiber benefit, but you can pack more nutrients into a smaller glass of juice. Healthy Takeout (isn’t that an oxymoron?)! Disclaimer: This is only available in central San Francisco, but I hope it expands to other geographies! 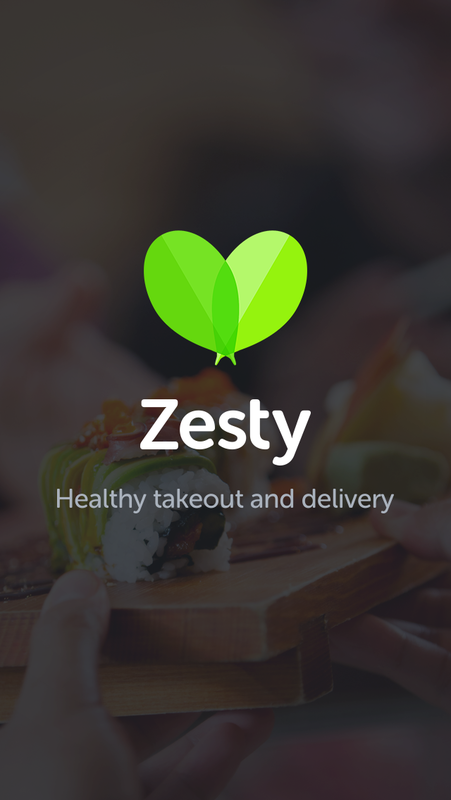 Zesty (formerly known as Hasty) is a company that helps sift through the current food pick-up and delivery options and show you only the healthy ones. No MSG, no added sugar, minimal salt and oil, and sauces come on the side. You can also sort by vegan, gluten free, low fat, high protein, etc. Zesty sends a nutritionist who extensively studies the food and even comes up with calorie counts for each entry. For me, this filtering system is a dream come true! 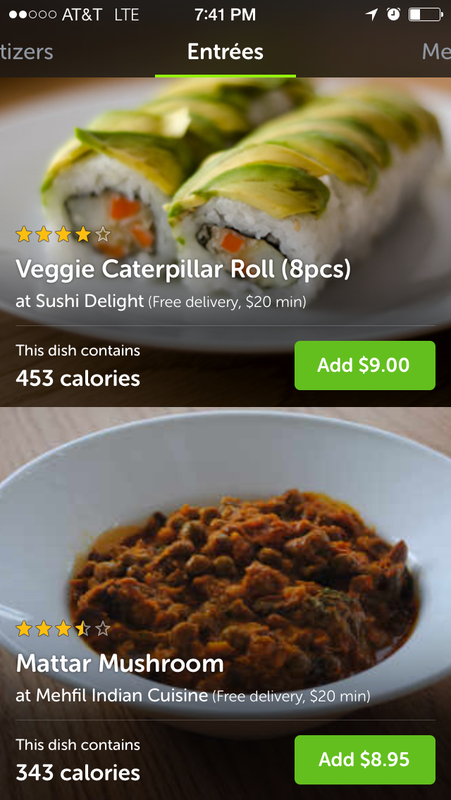 No longer do I have to wonder “is this vegan?” or “did they just add a bunch of salt to make it taste good?” For those nights that I just don’t want to cook, I can simply choose whatever is available through the app under the Vegan category. And for such a young company there are surprisingly a lot of options. I used it on Sunday after my long run, and ordered a sandwich from Melody Cafe for pick-up. I paid for the meal through the app so when I arrived it was ready for me to take and leave right away. Love this and hope those in SF give it a try! And if you use the code “WHERESTHETOFU” in the Coupon section, then you get your first meal free (up to $20)! Went to Mamacita’s on Saturday night for dinner/drinks and when I hesitatingly told the kind waitress that I was vegetarian (there weren’t any veggie options on the menu) she immediately grabbed a separate, dedicated veggie menu with like 10 different amazing options! I was blown away. Here I was thinking I had to order the fish tacos without the fish, and they had a hidden, incredible menu waiting for people like me. She didn’t roll her eyes, she didn’t make a snarky comment, she just very easily accomodated me. So I ordered the kale and butternut squash tacos and they were heavenly. Perfect amount of spice and the warm tortillas were delicious. Thanks Mamacita’s!! Contrast Mamacita’s to Bin38 where we had drinks before dinner. When I mentioned that I didn’t eat meat, the bartender said “oh, you looked so pretty and normal. Are you feeling OK? Did you have a bad experience at In-N-Out?” I’m pretty sure he was serious… I politely giggled and mentioned that I had been vegetarian for >17 years and that I had a cold but otherwise feeling fine. I couldn’t believe that in a time when celebrities, athletes and politicians are going vegan, non-dairy milk is the norm, and pure veggie restaurants are all over SF, that’s the reaction I got. This isn’t 1984! Oh well, I’m obviously really happy with my plant-based lifestyle and I hope over time the perception is improved. Saturday the 18th. Bike. 42 miles, 2 hours 44 minutes. Highway 1 from Half Moon Bay. Friday the 17th. Swim. Just a quick warm up. Wednesday the 15th (evening). Bike. 1 hour indoor spin class at Oracle. Tuesday the 14th. Run. 3 miles on the treadmill at 6.5 mph. Stretch, foam roll, and core work. 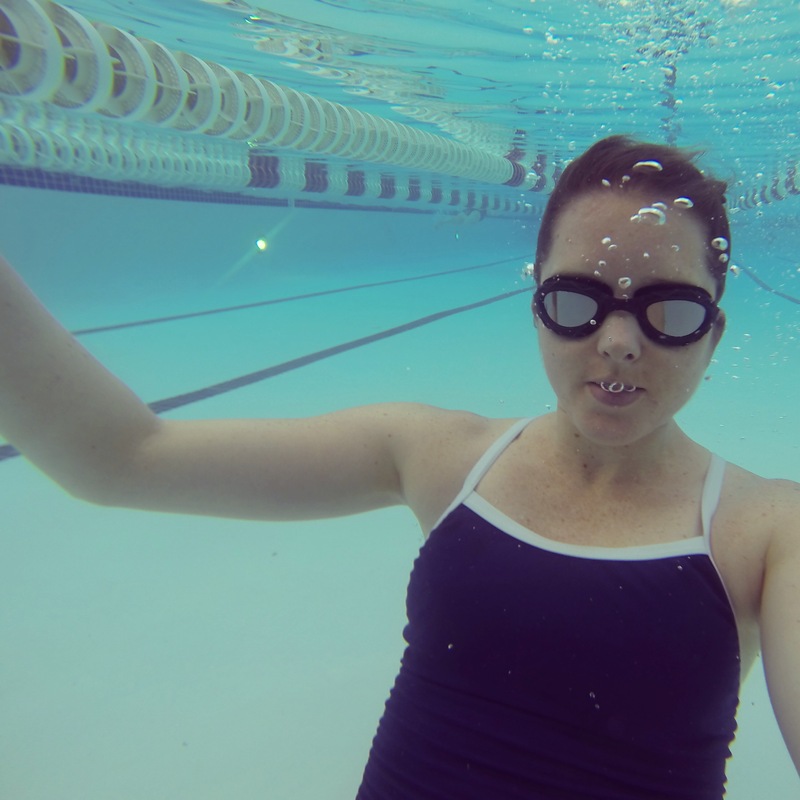 Previous Post Week 2: New Pool, Kale Smoothies, Minor Injury, and Getting Fit with Xbox! 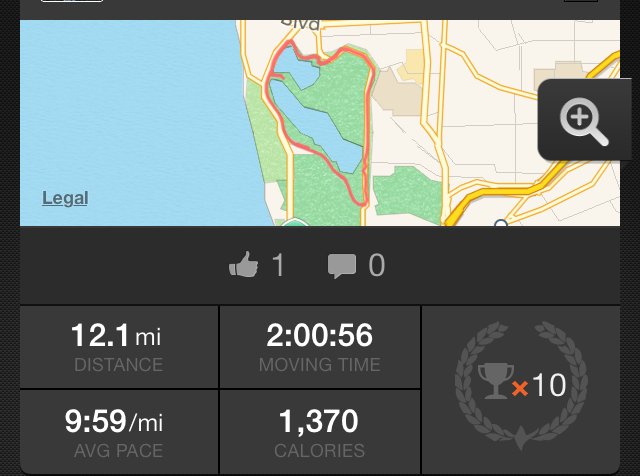 Next Post Week 4: Ironman Coaching, Hoka’s, Hawk Hill, and Veganize This!